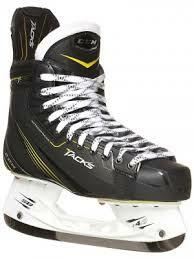 With CCM coming out with the new Tacks skates it was obviously a huge deal, the previous skates I had were no comparison to the hold of this boot, my transitions were way better and I got so much more out of my strides. The higher sit of the blades have seriously improved my turns and made them so much tighter. The vents on the bottom of the boot let my feet breathe and it feels really good in the arch in my feet, I haven’t seen this integration in any other skate but I will keep you guy’s updated if I do. I am a very quick player off the line, so with the attack frame it has tremendously improved my explosive acceleration. The frame was specifically designed for this type of result. Also another great feature is that they’re heat moldable but anything at this level really should be ready to bake for your mold in the skate. The neck of the skate is where CCM has really put in a lot of work in these skates giving you maximum comfort and support again for those explosive accelerations. 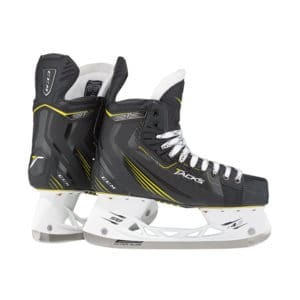 These skates are all about acceleration and transitions, and if you are one of those people I would definetly consider picking up a pair of these!